These findings are critical for any business, as they fall in line with Google’s introduction of ZMOT (Zero Moment Of Truth) in 2011. If you haven’t yet heard of it, ZMOT describes the way consumers search for information online and make decisions about brands. For example, if you were to buy a new TV, chances are you’ll probably search for different models of TV’s, look at reviews, understand all of the features and benefits of each type, visit a store, talk to friends and eventually buy. Here’s Google’s video for it. 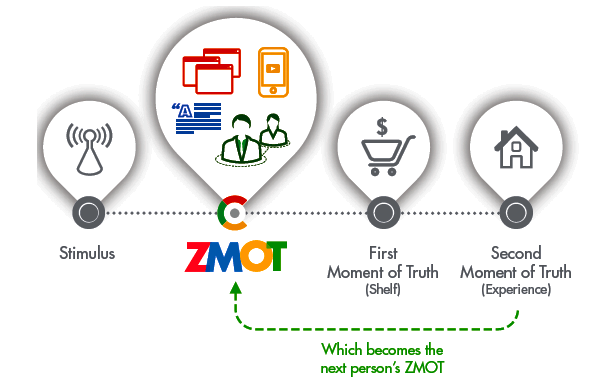 The evolution of ZMOT means that consumers are no longer experiencing a linear or short buying process; they’re spending hours researching what they purchase, going back and forth between information points. This is extremely important for retailers and all businesses alike, because it means that if you’re not in front of customers at the right time, or you’re not providing the information customers are looking for, you’re most likely missing out on a huge amount of business. As ZMOT explains, consumers aren’t shopping the way they used to. Before the internet, most retailers used push advertising: telling shoppers what to look for, when to buy and where to buy it. In today’s landscape, advertising and marketing is about pulling customers, ensuring your business is in front of customers, where and when they’re looking for it. It’s a significantly different strategy in practice. Once you’ve got a reasonable list of search phrases, the next step is to understand the type of person you’re targeting, and the way in which they’re searching. 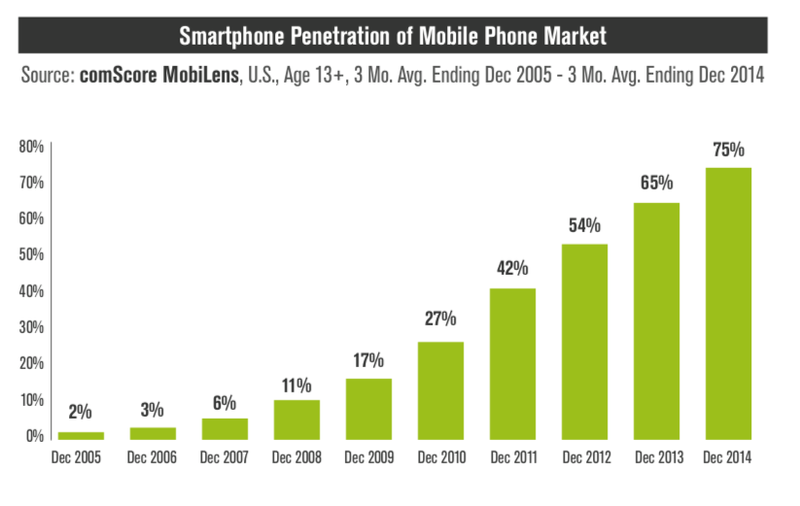 No doubt there are a variety of consumers interested in your business. While you can have a multi-pronged approach, it’s important to think about the type of person who is likely to make a repeat purchase and focus your efforts them. I’m a classic example of an ideal customer for outdoor equipment. I’m an active person, and have an array of clothing and equipment for cycling, climbing, swimming and hiking. I regularly visit around five stores and have spent thousands of dollars purchasing gear from them in the past year alone. As the pareto principle goes, 80% of customers produce 20% of your revenue, and 20% of your customers produce 80% of your revenue – so try and target your ideal customer. 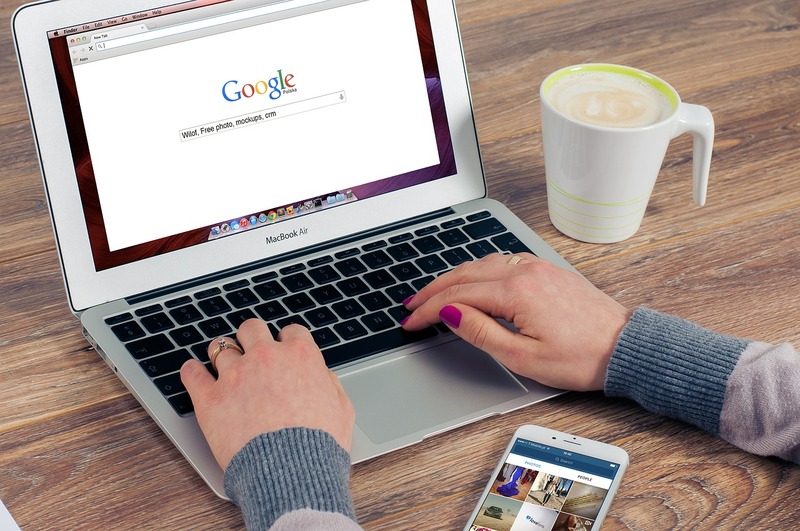 Typically, most people first search in Google, but this doesn’t mean they don’t look at blogs, social media, review sites or speaking to friends. While we’d like to think that purchasing is relatively straight forward, in actual fact, it often involves bouncing around from site to site, or place to place, getting different opinions, researching and making an informed decision ourselves. What’s important, is considering what medium or channel will work best for your market. Do they spend time on instagram or reading blogs? Do they look at review sites or just do a Google search for a specific product? 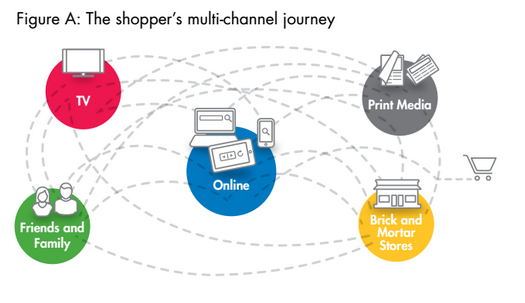 In addition to considering the type of channel, it’s equally important to consider if there are multiple channels that attribute to a purchase. For example, have they searched in Google, then visited your facebook page, then blog, then instagram before they’ve decided to visit your website or store? In many cases, consumers will look at multiple channels of your business and judge your business and brand on the overall experience. 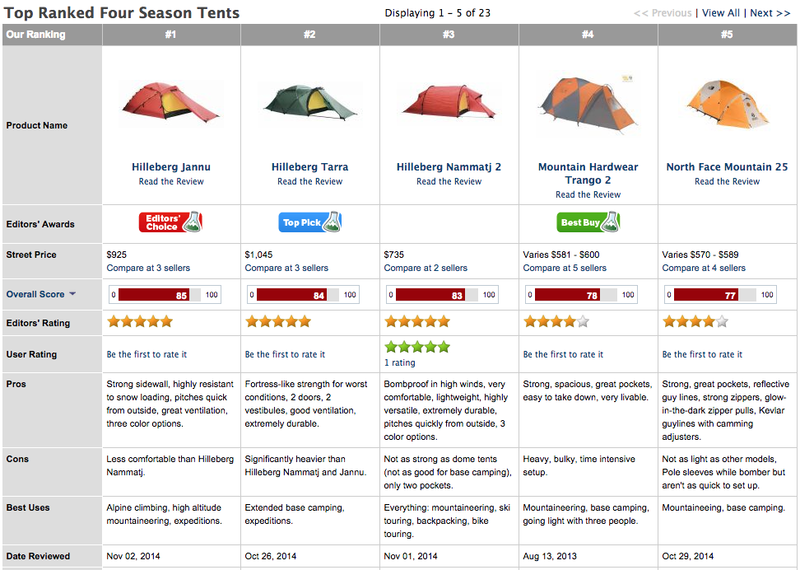 Going back to my example of buying outdoor equipment: before getting into many of the sports above, I looked at reviews, comparisons and features. I often found these on the websites of the companies I purchase from, making an initial connection. I spoke to friends at the mountaineering club I’m a member of, who recommended stores, and like many others, I follow an array of climbers and photographers on instagram, and (despite being in marketing and knowing full well it’s endorsed) do take notice of the equipment and brands that they use – as well as who they follow. I get discounts in the stores by being a club member, which adds as a ‘sweetener’ in giving me reason to purchase from their business. All of these small ‘touch points’ came into play when considering to purchase equipment. One of them alone may not influence a purchase, but in synergy, they act as a compounding factor, ultimately weighing in on a buying decision. Undoubtedly, your customers have a similar experience. Once you have a solid understanding of all of the above, the next step is to implement the pull strategy, by putting together content that appeals to your target market and helps them find your products/services. 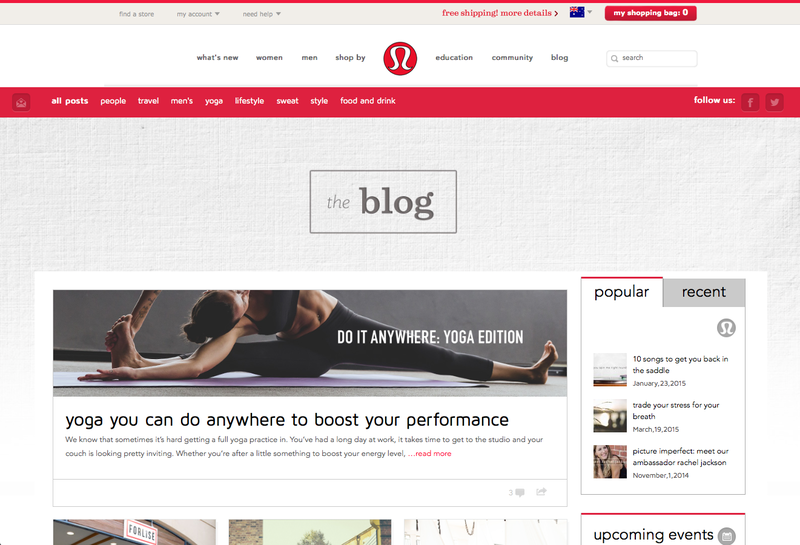 Some ideas on how to implement this are: Blog posts: Blog posts (like this one) are a great way to improve your SEO rankings, as well as share content or answer questions your target market have. They can be done in a variety of ways, and categorised for different types of consumers. Just remember, when it comes to content, always keep your ratio to 90/10 or less – that being 90 content, 10% (or less) call to action. Building content is not about direct response advertising, it’s about building your brand and helping your ideal customer. Reviews: While reviewing your own product/service might not be the greatest idea (and yes, falsely reviewing your product/service/business is illegal), if you have different brands, you can review the pros and cons of each, and suggest different brands for different reasons. You can also look for people who could review your product for you, giving you more visibility (or maybe some valuable feedback), or submit your website to review sites and have your customers review your products/services for you. Review image source: Outdoorgearlab.com Social Networks: When social media first started to become mainstream, there was a lot of skepticism as to whether the businesses themselves would be successful, let alone being valuable to other businesses. Today, social media has evolved considerably, becoming a larger part of people’s lives and more than just a place to be social. As the Comscore report I referenced earlier states, Facebook has reached 81 percent of the digital population (in the U.S), and on average spend 40 minutes a day checking their feed. 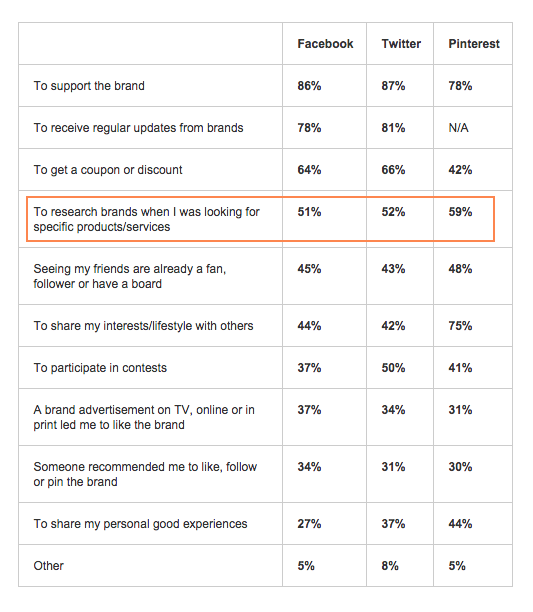 While the large majority of participants in a study on millennials from the University of Massachusetts Dartmouth said their main reason for liking or following a company/brand on social media was to support it, around 50% of participants used it as a method to research brand when they look for specific products/services, making it important for you to be on social media if you want to connect with your customers and attract new ones. If you’re wondering what you should post on social media, the answer will vary depending on your business. The purpose of doing so remains the same however, which is to develop a relationship with your audience. If you keep this in mind, it’ll be a much easier process. Mobile: Both Comscore and Google’s ZMOT have clearly identified the increase in mobile searches and browsing over the last few years – something that’s going to increase further in the years to come. If you haven’t already, make sure your website is mobile friendly (either as a responsive website, mobile version or an app). In addition to this, consider things such as usability on a mobile device, location services (such as Google maps listings), click-to-call functionality, and trading hours. Increasingly, consumers are using multiple devices at once, which means that while they’re watching TV, they’re also on their smartphone, looking up what they saw on TV, or posts about it on social media. Conclusion There are a variety of ways to interact with your audience or promote your business, but understanding who they are and how they purchase will make a considerable difference in your bottom line. Get in front of your audience at the early stages of their buying process, and create multiple channels to connect with your audience to weigh in on their ultimate decision.